What drove the man who founded adidas and led the company to global success? A very special contemporary gives insights. Adi Dassler, the founder of adidas, always put great emphasis on documenting his ideas, thoughts and learnings. 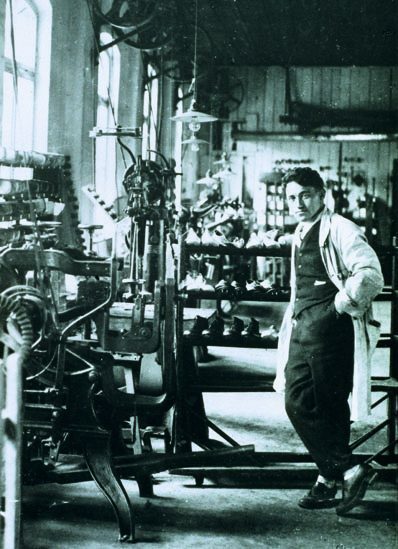 Thanks to this habit, we still know a lot about what drove the man who gave our brand its name, the man who laid the foundation for the entire sporting goods industry..
Adi Dassler had big dreams but he certainly couldn’t foresee the impact these dreams would have one day when he opened his first shoe factory in 1924. He was just a simple shoemaker who didn’t have much to call his own – except for a heart full of passion, inventive genius, skilled hands and the courage to push the limits. He was the paradigm of what we nowadays call an entrepreneur. But what drove the man who founded adidas and led the company to global success? The stimulus for Adi Dassler’s entrepreneurial motivation was his simple yet brilliant and novel idea to make shoes specifically for sportsmen and -women. He never made compromises when it came to addressing the needs and wishes of his target group, the athletes. Being an athlete himself, he was so passionate about his vision of providing every athlete with the best possible equipment that some would even call him obsessed. Adi Dassler knew that to make your dreams come true, you should never be afraid to take creative and extraordinary measures. He rolled up his sleeves to establish the new as soon as he classified it as “makes sports and athletes better”. He was convinced that only by trying can you get it right. But he didn’t stop at applying this principle to his work as a shoemaker. He also spoke to athletes as often as possible, keen to find out what they were looking for in products. Soon, athletes around the globe admired “Adi” for his listening, observation and problem-solving skills. Adi Dassler literally went the extra mile and was rewarded with a worldwide network of top-class athletes loving his shoes. One of these athletes is Willi Holdorf who won the Olympic decathlon gold medal in Tokyo (1964). 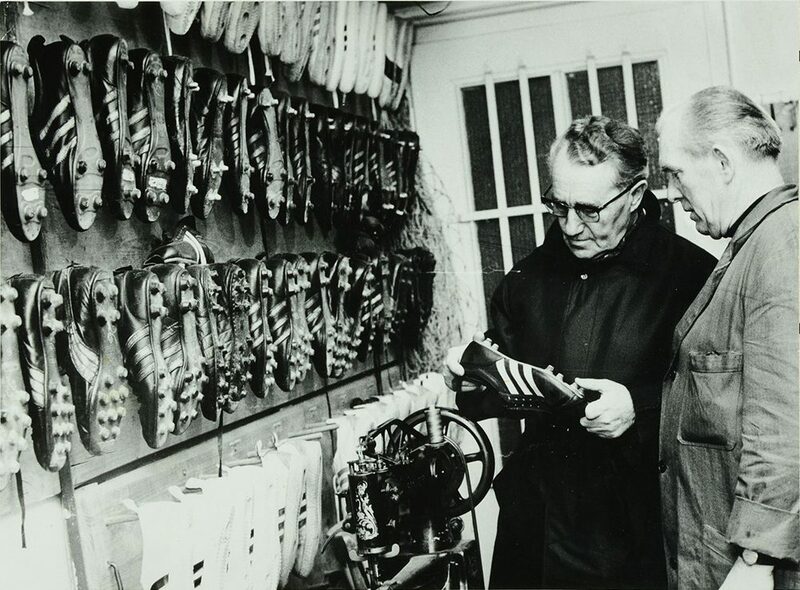 After his career, Willi had the chance to get to know Adi Dassler from a different perspective when he started to work as an adidas sales rep. So let’s see what Willi Holdorf, the world’s ’1964 Athlete of the Year’, has to say about his ‘boss’ and patron, the man who founded adidas and led it to global success. 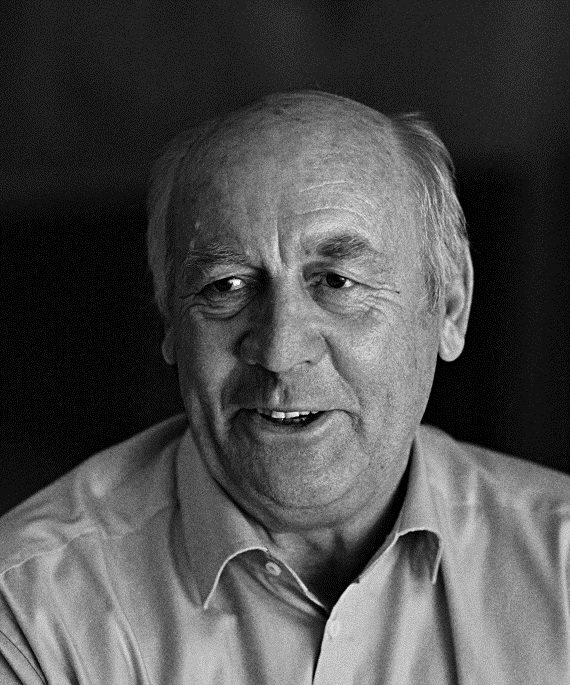 Willi Holdorf was the first German to win Olympic Gold in decathlon (1964). He later joined adidas as a sales rep.
Willi Holdorf, before you joined adidas, when you were a young athlete – did you wear adidas spikes or did they not yet exist then? I had spikes but they didn’t have a brand name. When I was 19 and ran very fast at an indoor meeting against the European bronze medallist, Peter Radford, a pair of spikes and a tracksuit turned up at my house. And that was my first contact with adidas. It was really something very special at that time for a young athlete to get a gift like that. It boosted your self-confidence. You said, look, somebody’s taken notice of me. I think even for today’s athletes it’s still a big motivation to get a contract with adidas. In those days spikes were spikes, they didn’t vary very much; you wore the same ones for everything, from long jump to 5.000 metres. That was ok by you? It had to be! There wasn’t anything else. Then came high jump spikes with the soles a bit thicker, then I got more and more into the decathlon and I needed spikes for throwing the javelin. But I did all the running events with the same spikes. But then that changed, too. I had big problems in the decathlon 1,500 metres because I always ran on my heels; I wasn’t a good long-distance runner. So I had a word with Adi Dassler and he made shoes for me with the heels built up a bit so I was always running a bit more on my toes. I think that won me a few seconds, maybe even five. Later he made a shoe from that, called Interval, that sold for a long time. 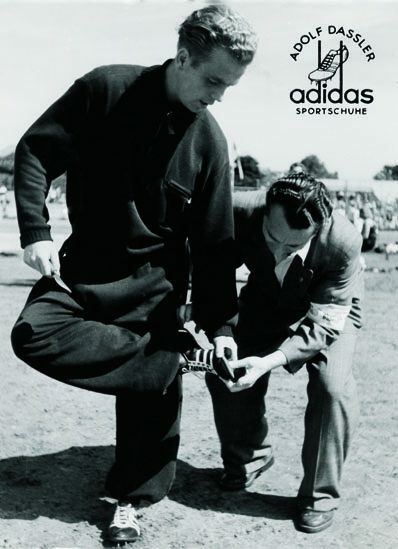 What was the most remarkable characteristic of Adi Dassler from your point of view? I always say he was an athlete himself; he did a bit of everything, tennis, high jump – I only ever saw him when he was doing something. It always fascinated me how he would work on things in such detail and would stick at it, working out some new idea. Sometimes it got on our nerves a bit, it was always the same with him – we would say right, that’s good now, it’s fine, but he would keep at it and we would always end up saying, ok, it’s a good job he tested it as long as he did. To bring his understanding for athletes to perfection, Adi Dassler traveled a lot - to meet athletes in their familiar environment and to gather their feedback. With his passion for sports, he would surely have loved to be a top sportsman himself. Yes, I certainly think so. Somebody as versatile as that, somebody who could do absolutely anything, that was a huge advantage for a sporting goods company – but this versatility didn’t help him to be successful in any one sport, whether it was football or tennis or track and field, whatever. But I think it’s what gave him the drive to be the best, at least in his business. I think if he had been a successful sportsman, he would not have been such a meticulous and hard-working inventor. When running tracks changed from cinder to tartan, the shoes had to change, too. The boss put a lot of energy into it, as he always did. He came up with spikes that didn’t prick up the surface of the tartan track and were not so sharp but just bit into it. It was a little tricky if the track was slippery after it had rained, but the sprinters knew they could run faster with them. He did a fantastic job, but I think it annoyed him that he had to work on it longer than usual. Part of his success was certainly his slight impatience. Yes, and it’s even more important that you yourself are convinced that it’s good. Adi Dassler was always convinced that only quality would get adidas to the top and he firmly anchored this principle in the adidas mindset. I also always was a firm believer in the quality of adidas products, because I only ever had positive experience with them myself. So it wasn’t hard for me to talk positively about these things when I was selling them – on the contrary. Ich habe einen Bachelor-Abschluss in Business Administration der Applied Science Private University in Amman (Jordanien) und absolvierte zusätzlich einen Kurs in Business Marketing in den VAE und Katar. Zu meinen Begabungen zählen vor allem große zwischenmenschliche Fähigkeiten, Führungs- und Organisationstalente sowie gute Kommunikationsfähigkeiten. Ich besitze eine schnelle Auffassungsgabe gepaart mit großem Ehrgeiz. Ich war 5 Jahre in der Verkaufs- und Marketingabteilung einer großen Ex--und Importfirma in Abu Dhabi tätig wo ich mit umfangreichen Beleuchtungsprojekten betraut war. Häufige Geschäftsreisen in das internationale Ausland wie China, Italien, Deutschland und Verhandlungen mit den dortigen Geschäftspartnern gehörten mit zu meinen Aufgaben. Ich glaube, aufgrund meiner Fähigkeiten und Berufserfahrung für eine ähnliche Position in Ihrem Hause geeignet zu sein. Ich bin syrischer Staatsbürger, seit 2015 in Deutschland und anerkannt nach der Genfer Konvention.